Mr. Robert Roy Stewart, Jr.
Robert Roy Stewart, Jr. of Opelika, AL died at Oak Park Nursing Home on Friday, April 12, 2019. Mr. Stewart was born on October 18, 1927 in West Point, Georgia, the son of Robert Roy Stewart and Hazel Wells Stewart. He was a graduate of West Point High School and The Georgia Institute of Technology where he earned a Bachelor of Science degree in Textile Chemistry. He served his career in textile finishing plants at Riegel Textile Corporation in Trion, Georgia, Erwin Mills in Cooleemee, NC, and West Point Pepperell in Opelika, AL and Lanett, AL. He retired from West Point Pepperell’s Research Center in Valley, AL in 1989. Mr. Stewart had been a resident of Opelika since 1968. He was a lifetime Methodist and had served in many capacities. 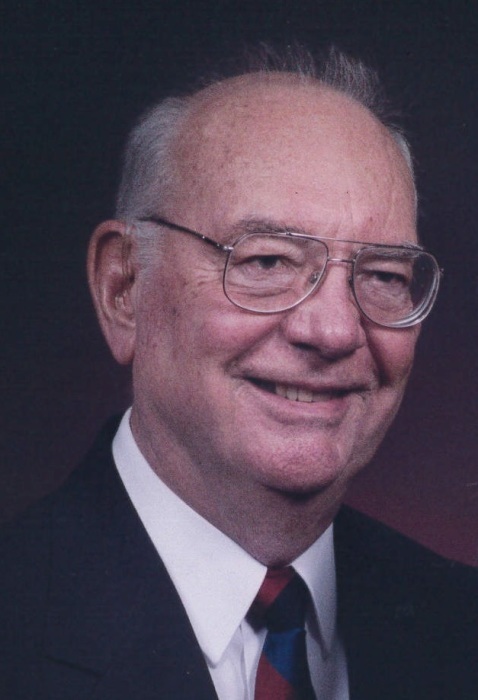 He was member of Trinity United Methodist Church in Opelika where he had served as past president of his Sunday school class, past president of the men’s club, past member of the official board, was an usher for many years, and had other responsibilities. He was a past president of Lions Clubs in both Georgia and North Carolina. He was a US Army veteran and served in occupation duty in Japan at the end of World War II. He was a volunteer at the Museum of East Alabama for many years and he enjoyed fishing, boating, gardening, reading, computers, wood working, and traveling.. He and Lois traveled to numerous Elderhostel programs both in the US and overseas after retiring. Survivors include his wife of 67 years, Lois Wehunt Stewart; three children, Robert Roy Stewart, III of Birmingham, AL, Jennifer Wells Stewart of Boonville, NC, John Michael Stewart of Auburn, AL, and a number of cousins. A visitation will be held at the Trinity UMC Fellowship Hall Sunday, April 14, 2019 from 2:00 p.m. until 3:00 p.m. A graveside service will follow at Marseille Cemetery in West Point, Georgia. Memorials may be made to Trinity United Methodist Church or a charity of your choice.